Each project should focus on meeting at least one of the five promises in America's Promise and offer youth learning opportunities while identifying and solving community problems. Don't need to wait to grow up to change the world! Global Youth Service Day (GYSD) is the largest youth service event in the world with millions of youth in more than 100 countries engaged in community service and service learning projects. We also recognize adult leaders, youth service leaders, and outstanding service projects. Grants are available for adults who are working with youth on service projects. Composed of youth advocates in Arlington, we help mobilize citizens and agencies around the five promises embraced by America's Promise. 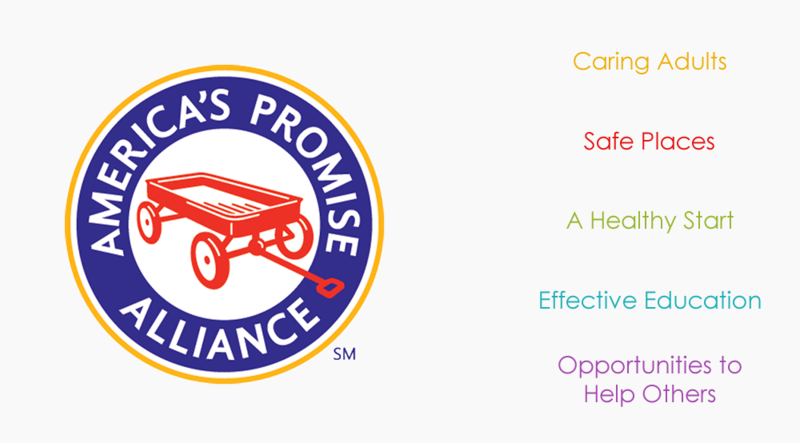 By fulfilling the above promises, we help build the character and competence of our youth.